Spring Mid-Release Reveal and GIVEAWAY: Floral Lane - Pebbles, Inc.
Today, I’m excited to share a reveal of Pebbles’ first ever mid-release line: Floral Lane! 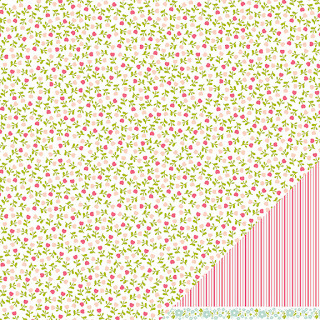 Floral Lane is an everyday line inspired by the ambiance of a neighborhood floral shop. 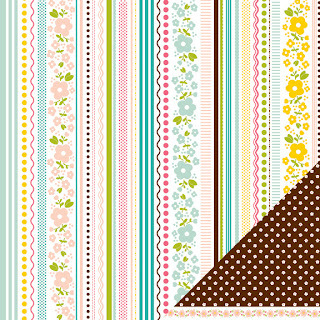 Flower arrangements, newsprint and jewel embellishments; as well as sweet phrases and a soft color palette make this collection bloomin’ cute. 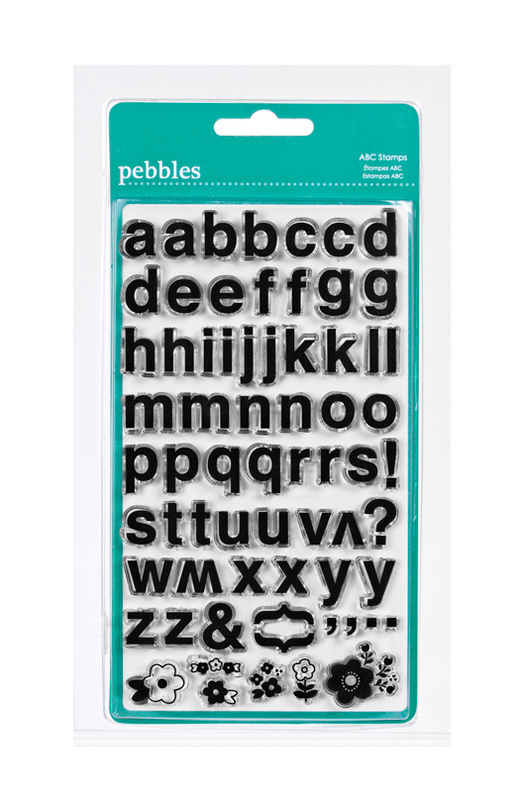 The collection carries coordinating ABC and Dimensional Stickers, Duplicate Rub Ons and Chips; as well as ABC Clear Stamps, Velvet Yo-Yo Flowers and Button Candy Dots. Would you like to win this fun Floral Lane prize pack? 1) What do you think about this new collection? 2) What is your favorite flower? One lucky winner will be chosen at random to win a prize pack full of Floral Lane. Submit your comments by Tuesday at midnight (EST). I’ll announce the winner Wednesday morning. Good luck! The new collection is adorable! Love the small prints. My favourite flower would be Lily of the Valley. I love this new collection – so pretty and feminine and floral! I love the new collection!!! Purple roses are my favorite flower! I love the soft colors in this new collection! I can picture many beautiful card….My favorite flower would be the iris. This is just lovely. My favorite flowers are hydranga – Thanks! I also love peonies and tulips – LOL!! It’s a beautiful, beautiful collection! 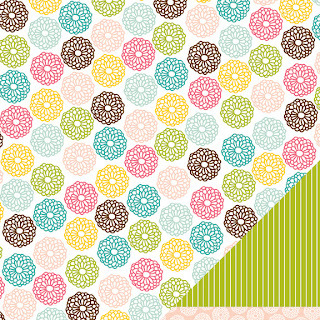 Love the colors and the little prints that are great for cards and for scrapbooking. My favorite flower is the orchid! Very pretty! I love the colors. My favorite flower… so hard to choose. Roses are probably first, but callas, freesia and tulips are close behind. Oh my…this line is just gorgeous! Love all the flowers, and pinks! Gerbera Daisies are my favorite flowers. Really like the bright unnatural colored ones you can get from the florists. The new collection is FABULOUS! And I would be honored to win this collection….loves AMAZING! Keeping fingers and toes crossed really really tight. Thanks for the wonderful chance! This collection I would use for some pictures that I have from past Springs. It’s so perfect for spring and summer! Especially with Easter coming up! My favourite flower is the lilly of the valley. It’s so dainty and smells great! Plus I have a lot of good memories with my grandmothers with that flower. What a beautiful collection!!! My favorite flower is the carnation, but I also like tulips. My husband always buys me purple tulips for Valentine’s Day. This collection is so pretty!! I love the colors and design! My favorite flower is the Stargazer Lily! This collection is lovely! My favorite flower is ranunculus! I love them! I LOVE this collection! It is beautiful, the colors are fabulous! The embellishments are super cute too!! My favorite flower is the peony. They smell amazing, are beautiful, and very hearty flowers. I have a “pink parfait” peony in my front yard and love when it blooms every year. Floral Lane is lovely! I love that first paper, with the multicolored doily-looking flowers, and I love the velvet flowers! My favorite flower is the stargazer lily. Thanks for the chance to win! I love this collection, I am a serious sucker for anything floral. Daisies are my favorite flower, but poppies come in a close second! A perfect spring/summer paper line. Great for those summer photos I have. And my favorite flower is the dahlia. Thanks so much! I love the new line! My favorite flower is a rose. 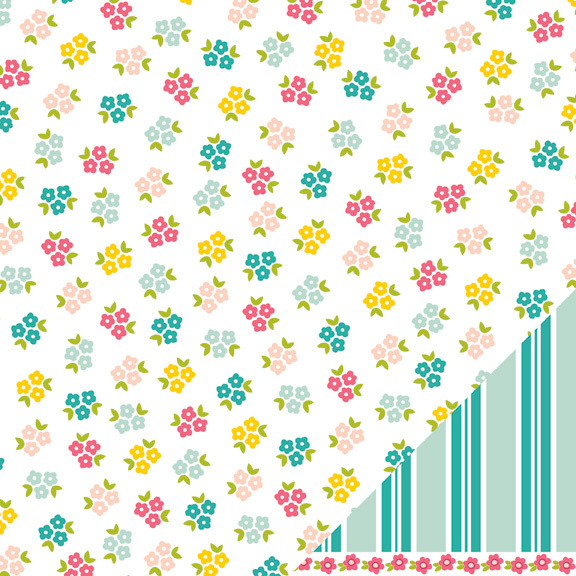 I love this collections…flowers, delicate patters, beautiful colors…it all says SPRING is in the air! My favorite flowers are Spanish Evening Primrose or Morning Glories! Floral Lane is a fabulous collection. My favorite flower is hard to choose, but I do love roses. sucy a pretty collection for spring! My favorite flower is a pink carnation- just something so beautiful about a carnation. 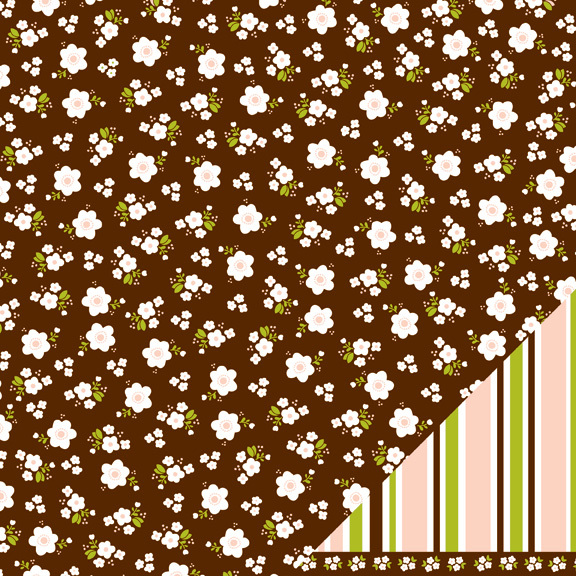 I really love the tiny floral patterns….. They remind me of Holly Hobbie! What a gorgeous collection for Spring! I love all the tiny patterns and pastel colors! My favorite flower is the Calla Lily! Thanks for the chance to win! I love this new collection and all the pastels! It would be perfect for our Tulip Festival Pictures!! My favorite flower is the Tulip! Thanks for the giveaway! Love the pretty colors of this collection! I love star gazer lilies, they are my favorite! Great collection–very sweet! I really like the pink and brown together. I like lots of flowers but probably my favorite is sunflowers–they make me smile. I think it is lovely! Did Lu design it? I think yes. Also I love daffodils. And tulips and hyacinths, but mostly daffodils. 1. My favorite (or one of them anyway) is the daffodil because it is so bright and sunny and multiplies every year with little effort on my part!! 2. Oh, I love this new collection! the colors are pretty, and the flowers are so lovely! I would be tickled pink to win this!!! Thanks for the chance! What an adorably cute spring collection!! I’m loving it all but I’m really loving the swirly alphas and the fabric flowers!! My favorite flower is the Gerber Daisy! Especially when there’s a bouquet of all different colors! What a beautiful, colorful collection! My favorite flowers are gerber daisies. Ohhh, this new collection is BEAUTIFUL!!!!! It is so versatile for all styles. I see a classic LO such as well as a cute and bright style. My favorite flower is the blue cornflower. My wedding flowers! What’s not to love about this collection. There are so many flowers and wonderful Spring colors and a great variety of products. My favorite flower is the hydrangea. They are in such gorgeous colors and they last for weeks. Thanks for a chance to win. Adorable! Some great stuff in this line – I especially love the first paper pictured & the itty-bitty buttons! My favorite flower is the forget-me-not – although it is often considered a weed I love the delicate little flowers & beautiful shade of blue. OH what is not to love. I love the wonderful mix of soft colors of this collection w/that yummy brown! As far as my favorite flower it has to be the Cali Lilly.It was my wedding flower:) Thanks for the chance at this beautiful collection. Super cute collection! My favorite flower is Lily of the Valley. I *love* the soft colors!! ANd I really love the font of the alpha stickers. My favorite flower changes by the season, but right now it’s daffodils! I think the collection is so soft and pretty! And my favorite flowers are poppies. They’re so cheerful. This collection is so adorable. My favorite flower is the pansy, love those faces. Makes me smile. Thanks for the chance to win. Wowee!!! LOVE this one. Such awesome colors and patterns. And so many uses come to mind. Great collection!!! I really LOVE this collection, it’s so soft and romantic. My favorite flower is definitely the peonie. I am in love with the Floral Lane collection! I like the softness of the colors and that you could use this collection for anything; birthday, anniversary, get well and thinking of you cards! My favorite flower is Gerber Daisy. I love this collection, I think it is very cheerful. Love the colors. My favorite flower is a Daisy. I actually had a Daisy bridal bouquet. I am loving all the new, and unique embellishments! the new range is beautiful!!! love the colors!!!! i really wish to win the pack! hhhihii. oh, my fave flower is tulips! This line is fabulous! I love it! My favorite flower is orchid. This line is so fresh and happy – love it! My fave flower – so hard to pick just one… maybe sweet peas – so delicate in appearance but perseverant in nature. Love those delicate colors and all the coordinating products, very pretty! I love the colors…they seem so soft together. And carnations are my favorite flowers. 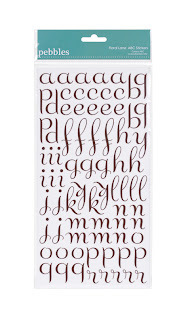 I love everything but those letter stamps are calling my name! I love, love the rub-ons. 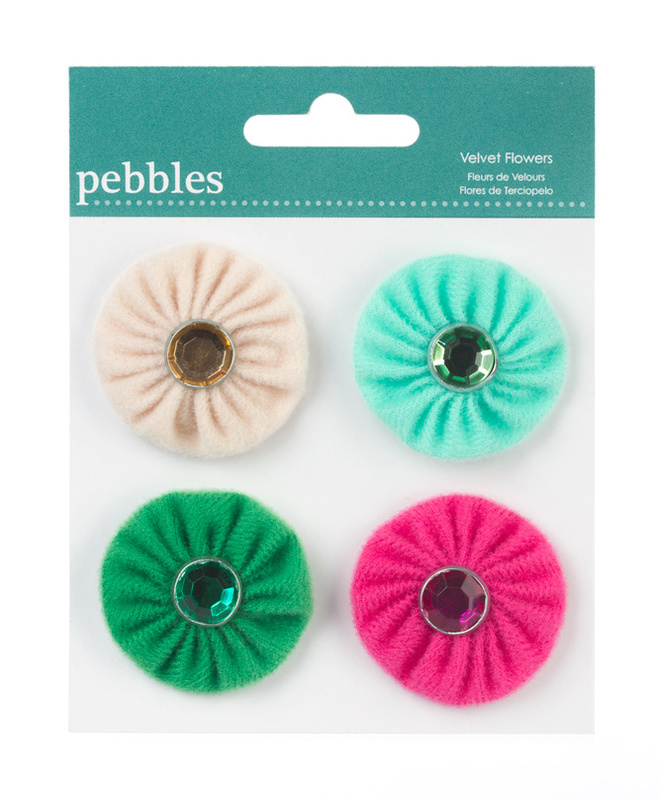 I am a pebbles inc. rub-on junky. My favorite flower is tulips. Beautiful collection. I think the very first paper is my favorite. I love the flowers and the chips would be fun to use on cards or on a layout. My favorite flower would probably be a pansy. It’s a simple yet very beautiful flower. I am a flower lover though so it wouldn’t surprise me if my favorite is different tomorrow! What a pretty collection to make Mothers Day cards and Springtime pages. Love the embellishments too. Blackeyed Susans are my favorite flower. Love this collection!! 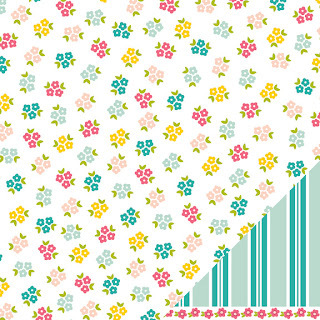 So soft and sweet…perfect for spring pages! My family loves tulips now blooming in our garden!! Love, Love the collections so soft and sweet the colors are. My favorite flowers are yellow roses and daisies. Thanks for a chance to win such a beautiful prize package. I love the pastel colors of this collection. My favorite flower is carnation. 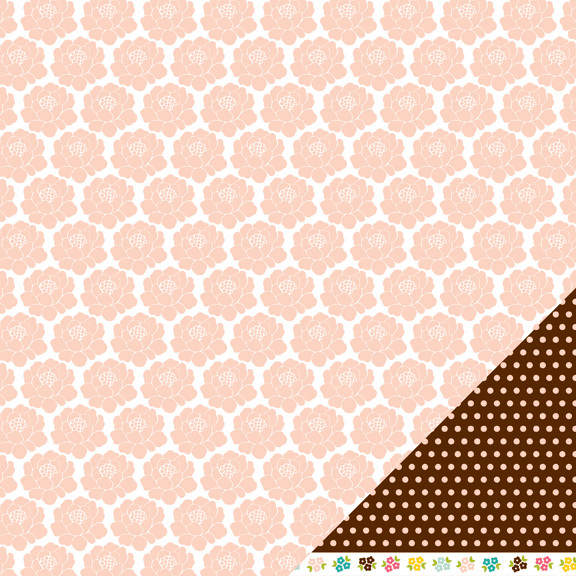 I really like that first doily-style page. My favorite flowers are tulips!! Love pastels and this is a very nice set! Thanks for a chance at it too! This is definitely my favorite collection of yours. The colors are fab and I love all of the embellishments! wow love that new line and my favorite flower is calla lilies and roses. I’ve been looking for a new Spring set to scrap my niece’s Easter pics. This would fit the bill perfectly! Favorite flower? hmmm….probably the peony. You only get to enjoy it for a week, but oh the beauty of that week! What a great spring line, I love the bright colors. Favorite flower would have to be Tulips. I am a paper junkie–and these papers are soooooo pretty! I love the bright but soft colors! LOVE:) And my fav flower is the gerber daisy–whimsical but still beautiful. To be honest–I do not like flowers. They die so quickly when picked. But if I had to pick a flower, it would be the gerber daisy. This collection is gorgeous!! I love all flowers. Lilies are one of my faves! Thanks for the chance to win! beautiful collection, lovely spring colours and it has my favourite element – flower! The collection is amazing, perfect for spring!!! I love orchids, hydrageas and roses!!! Such a warm, comfy feeling cam over me when I saw this collection. It reminds of my Gramma’s aprons that she wore in the Spring & Summer. I love the colors and prints. My favorite flower is the dahlia!! love this collection so much! My fav flower is roses… classic. I want to create a mini about spring and this new line is perfect! Sunflowers… so big and so gorgeous… Thanks for the chance to win this new collection, love the colors… so amazing. Love the collection! Peonies and tulips are my favorite flowers. the new collection is FANTASTIC!! I love its colors!!!!! My favorite flower is ROSE!!! I love it! 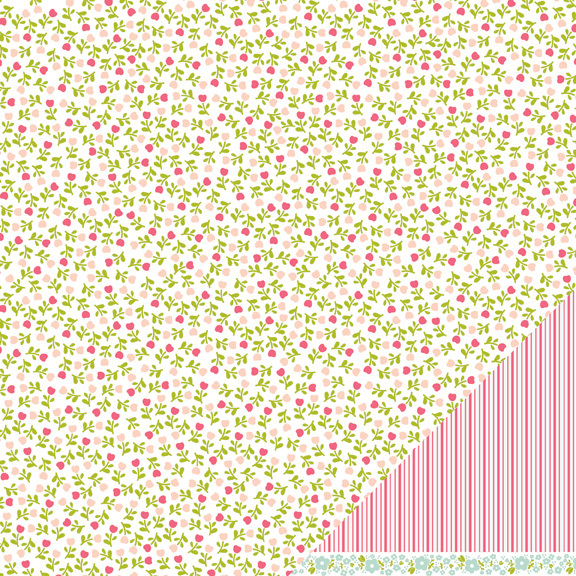 pink and green and brown together…my favourite palette of colours! I love this collection… so pretty! I love this collection!!!! So much!!!! This collection is very very beautiful, I love these spring colours!!! I like this collection… beautiful! great collection it makes me happy. my favorite collection so far! These papers and embellishments just ooze springtime – my favorite season. Lilacs are just one of my favorite flowers. Such a happy collection! Really love the velvet flowers. Great spring collection. Hard to pick one favorite flower but for this time of the year I love tulips. I love the button candy dots the most from this collection. (but I like other pieces too 😉 ) My fave flower is the tiger lily. Love the color combo and fun designs! And of course the embellies are delish! My favorite flower is Lily of the Valley! Thanks for a chance! I adore fresie, i don’t know their english name!!! I love this collection! It is so fresh and soft and girly. My favourite flowers are tulips!! Love the teeny flower graphics, also love the duplicate Thank You’s. so often i have a sheet of sentiments and only use one or two of them. I love all types of flowers. Darling new line! I love it! My favorite flowers are tulips and daffodils. Great collection. Love the colors. My favourite flowers are peonies. I love this collection! With 2 little girls in my house it will go with so many photos!My favorite flower is….well I guess I must admit there isn’t a flower I don’t like! But peonies are on the top of the list. I love the little buttons, too cute! My favorite flower is a gerbera daisy. It’ a wonderful collection, so many cute flowers. My favourite flowers are sunflowers! So pretty and versatile! Great colors! I think my favorite flower right now is peopnies. So pretty and versatile! Great colors! I think my favorite flower right now is peonies. Love it-such a bright happy collection-and so many things you can do with it.My favorite flowers are yellow roses-yum! Wow…I like what I see! The papers and embellishments are fabulous! Like the colors! My fav flower is the tulip. what a faboulous collection! I love everything of it!! WOW! I love this collection! The colors are beautiful and those velvet flower embellishments are adorable! My favorite flowers are mums. The patterns are gorgeous!!! and so are the colours! I love the velvet flowers. Such a beautiful combination of colors! Love, love these teensy prints…oh, and the colours!!! My favourite flower is the gardenia. Can’t beat that creamy white and the gorgeous scent. I love flower….. I love this collection!! My favourite flowers… roses!! It is a super cute collection! Do you even need to ask?! This line is fabulous! As for my favorite flower, I love Gerber daises! You guys keep getting better and better! I am so happy Pebbles is doing well. I am seeing more and more of your stuff at Archivers! Go Pebbles! This line is super fun and sweet! Wow what fantastic opportunity! ok i think this collection is really wonderful! my favourite flower is white rose! Questa collezione è bellissima, molto dolce e romantica! I miei fiori preferiti sono tutti quelli di campo (margherite, papaveri…) e i girasoli! I think the new collection is very “Spring” and “Lady” like. My favorite flower is Lillies, I love them! This collection is so pretty! My favorite flower is the daffodil. My favorite flower right now is a tulip! I love this whole collection! Great colors and designs! My favorite flower is the sweet pea! 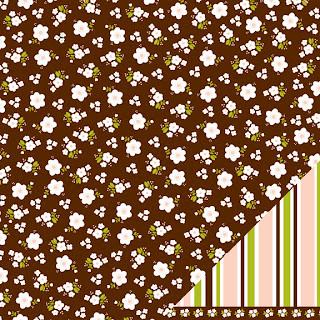 Lovely collection for spring, and I love daisies ! 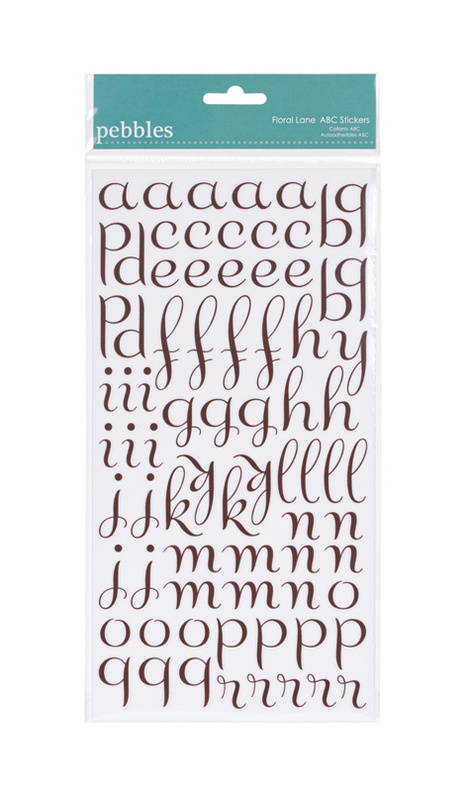 I love this collection, the font on the alphabets is awesome. I think my favorite ever!! My favorite flower would have to be a daisy. What a beautiful collection and thanks for the chance to win. My favorite flower is hydrangeas. I love the coordinating chips!!! 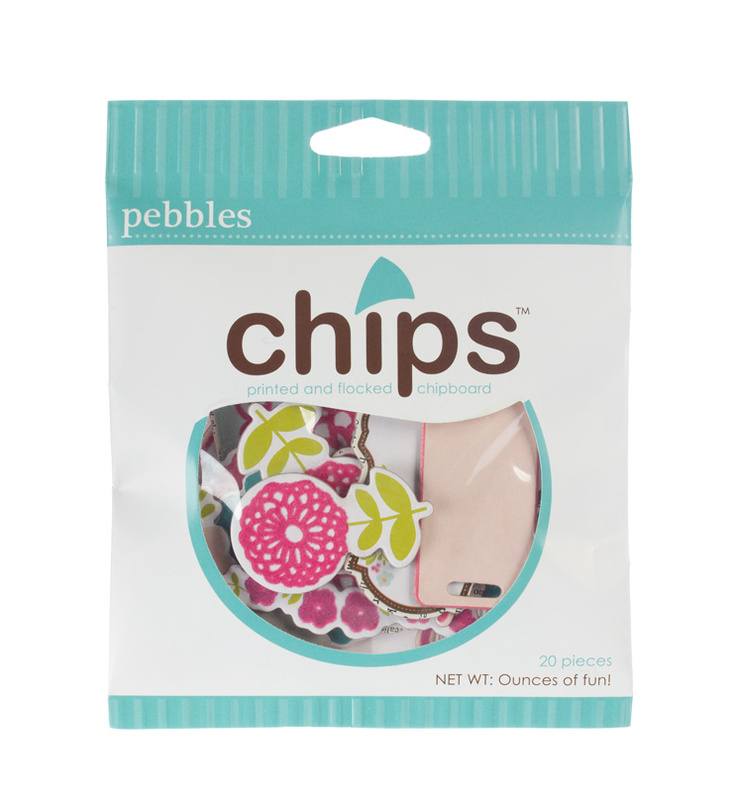 Love it and love the chips! My fav flowers are tulips! WOW!!! 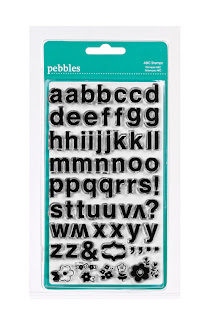 I love LOVE the dimensional stickers, well ALL of the embellishments are so so lovely! I like taht it looks some dollies are on the patterned paper. Have pick the roses! I came over from Kim Kresti blog, and good thing I did!! This new collection is great: in particular i like the soft colour.My favourite flower is sunflower. This new collection is fantastic!!! My favorite flower is sunflower. I love the colors in this new line. My favorite flower is a rose. I love the patterns of the new line! My favorite flower has to be something tropical like birds of paradise or something (my hubs is the gardener of the fam 🙂 I just tell him, what ever you want is fine with me. Oh, no, I love night blooming jasmine, is that a flower or a plant? This is an adorable collection! My favorite flower is the blue bonnet! This collection is PERFECT for my scrapping and card making. Totally my colors! My favorite flower is the gardenia. I LOVE the smell. This collection is beautiful! My favorite flower is the peony.